It is a great idea to have a backup system of your computer or laptop because you might not trust the content which has been stored in the cloud. And if you want the physical copies of the data, then you need to buy an external hard drive. The major responsibility of a hard drive is the storage and everything which is saved on our PC or laptop is on the hard drive itself. Do you want to transport your external hard drive or want to keep it at one place? Lighter, encrypted one or heavier, cheaper one? Answering these simple questions will help you in choosing a hard drive for a specific use with the best storage device option. 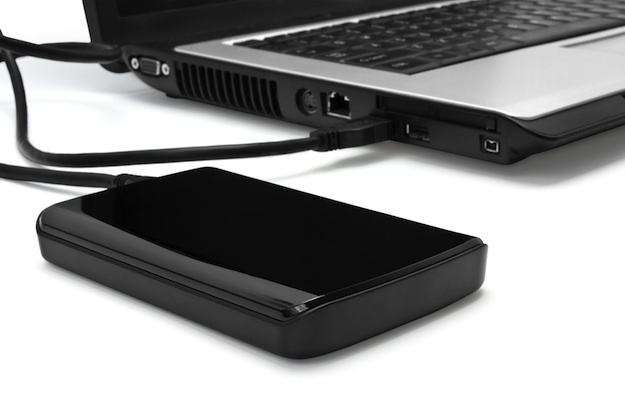 What to consider before buying external hard drive? The storage capacity of an external hard drive ranges from 2GB to 10TB. Also, there are few companies like Seagate, SanDisk, LaCie and much more which put two 4TB drives in one chassis, creating an 8TB hard drive. People who are looking for storing the videos on the external hard drive can go with a size of 1TB or 2TB. Even a smaller one can work for you if you prefer storing word documents or emails. You have to go for bigger one according to the files you want to store. The price of external hard drives with a decent amount of storage ranges from 90$ to 3,200$. You might be thinking about that which brand has hard drives with the maximum storage. Then we would like to tell you all that recently, Seagate came up with their new product Guardian Series and launched 10TB storage capacity hard drives. Some people prefer backing up of their computers every week and thus, most of the external hard drives suffice. If you prefer storing large files, including the videos, then prefer buying the one which takes data quickly from the computer. For instance, an external hard drive with USB 3.0 interface would be the best. Hard drives with USB 2.0 are still common and in terms of transferring the files more quickly, it is preferred to have USB 3.0. And the next big thing to consider is the eSATA which is quite really expensive. All external hard drives don’t work with all the computers and must have USB 3.0 port to work. We would recommend you all to use Seagate Guardian series which includes three major categories of the products including BarraCuda, IronWolf, and SkyHawk. And also, you can go with Thunderbolt which is a collaboration of Intel and Apple as well as works extremely fast. But, yes, it also adds a hefty price too. If you prefer keeping your hard drive at home, then it is preferable to have a cheap and heavy one. But if you are planning to tow hard drive back and forth from work to home, then it is preferable to have an expensive and light one. Moreover, if you are planning to transport the hard drive more often, then you have enhanced data protection which will reduce all the risks of failure by shock. Just prefer having the drives featuring durable and solid materials like aluminum and quality plastic. You just have to make sure that your external hard drive features a hardware-based encryption which is preferable and dependable than the software one. It is really important to consider this factor while buying an external hard drive if you are planning to purchase a portable mobile drive or stores highly sensitive data. Make an encryption a considerable factor to consider because moving around with the private files makes them more prone to theft and loss. If you are planning to purchase an external hard drive, but not in a mood to fuss around with installation or configuration utility software, then prefer buying the one which has included software because it will make things easier for you. It is not a bad idea to buy a warranty because nothing is fail-safe. Whether you own a Mac or a PC, you have to keep this in mind that there are some hard drives which are only compatible with Macs or PCs, but not with both. If you buy a Mac-specific hard drive for your PC, then you either have to reformat it or be limited to the one that is Mac-specific or PC-specific. So, now you know everything about how to choose a hard drive for a specific use and what you need to consider while buying an external hard drive. Once you purchase a hard drive, you must ensure about it properly in order to increase its lifespan and even keep it clean from the dirt as well. If you have some spare hard drives lying around, and then don’t throw them away because you can give them a new life to those and get some more value from them.